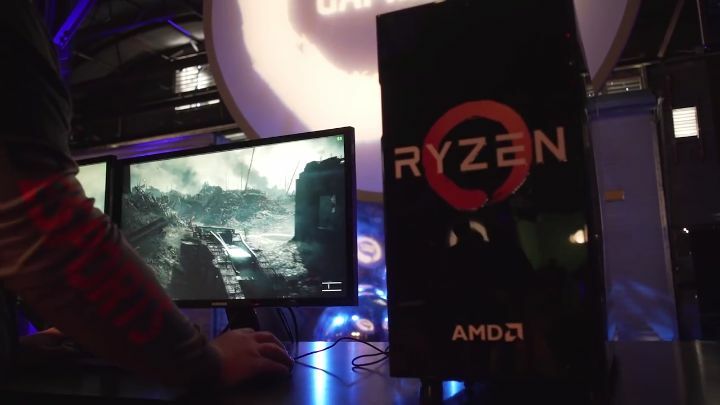 If one thing is clear, is that technology company AMD rocked the PC gaming world when it launched its new line of Ryzen processors this March. The reason for this is that it’s the first time in yonks that Intel has had serious competition in the processor market, meaning that PC gamers will likely be able to enjoy some fantastic deals in the coming months. During their presentation earlier this month, AMD showed some impressive-looking benchmarks which appeared to suggest their new processors are indeed blazing fast. And the Ryzen processors currently available in the market do appear to be quite close to Intel’s when it comes to performance judging by tests carried out by outlets like PC Gamer. Of course, only the high-end Ryzen 7 processors are available right now and these are priced at over $300, which might not be ideal for those looking to buy or build a gaming PC on a budget. 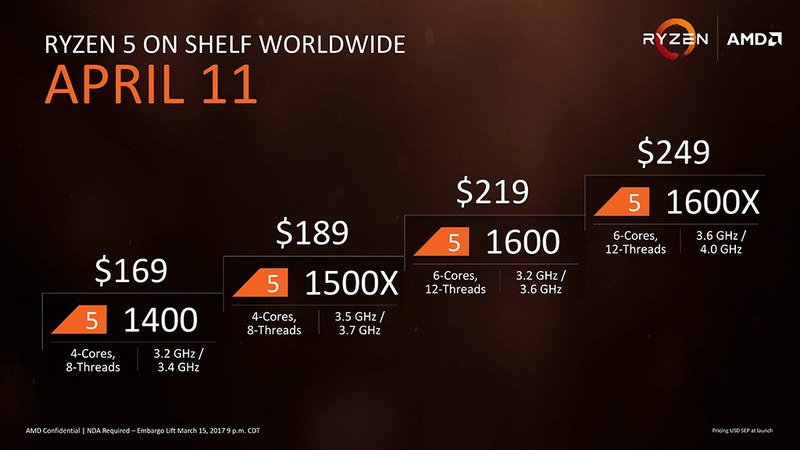 But luckily AMD will be releasing their mid-range Ryzen 5 processors soon enough (April 11), which are more sensibly priced than their top of the line offerings. Actually, the upcoming Ryzen 5 1400 four core processor will retail for $169 US dollars, with prices going up to $249 for the more powerful 1600X, which is a 6 core part that can reach a clock speed of 4.0 GHz. It remains to be seen, though, how well these upcoming Ryzen 5 processors stack up against Intel’s i5 offerings. But if they can offer comparable performance tied to AMD’s budget-friendly pricing, then AMD’s new processors could become the hottest PC upgrade of the year when they launch this April.